Wrist pain is common and can occur from both trauma and overuse injuries to the cartilage surfaces of bones or one or more of the many ligaments in the wrist. In many cases, patients with rheumatoid arthritis will develop chronic pain in their wrists related to their long-standing disease. How do we diagnose Wrist Pain? Standard x-rays are usually the first line of imaging in patients with wrist pain. Sometimes, a special dye is injected into the wrist prior under the guidance of an x-ray in a technique called arthrography. This technique can diagnose scapholunate or lunotriquetral ligament tears, which may require treatment from a hand surgeon. In a similar technique called MR arthrography, a special dye is injected into the wrist under the guidance of an x-ray prior to performing an MRI (magnetic resonance imaging) of the wrist. 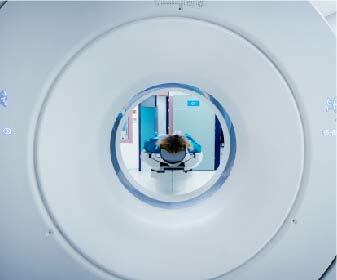 MRI uses a powerful magnetic field to produce images of the bones and soft tissues of the wrist. MRI does not use or produce radiation and therefore is not associated with radiation risks or effects. MRI is a powerful tool for diagnosing ligament tears, broken bones (fractures) and triangular fibrocartilage complex (TFCC) tears, all of which can cause severe wrist pain. How do we treat Wrist Pain? Many causes of wrist pain require consultation with a hand surgeon. In some cases, however, steroid injections can be tried using x-ray or ultrasound guidance to reduce inflammation and prevent the need for surgery.